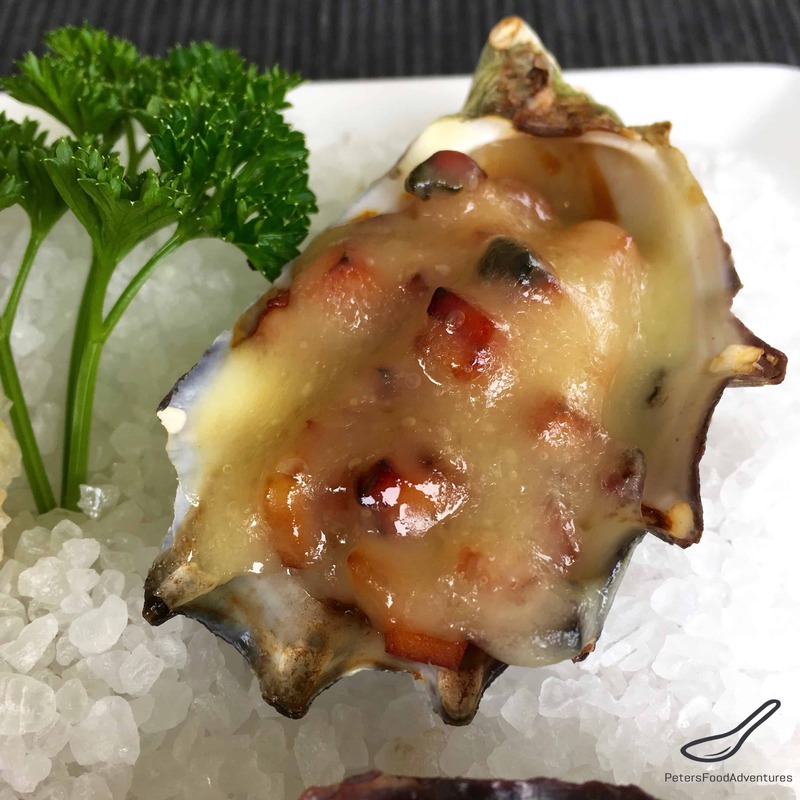 Grilled Oysters Kilpatrick with Cheese is one of the many ways to enjoy Oysters Kilpatrick. 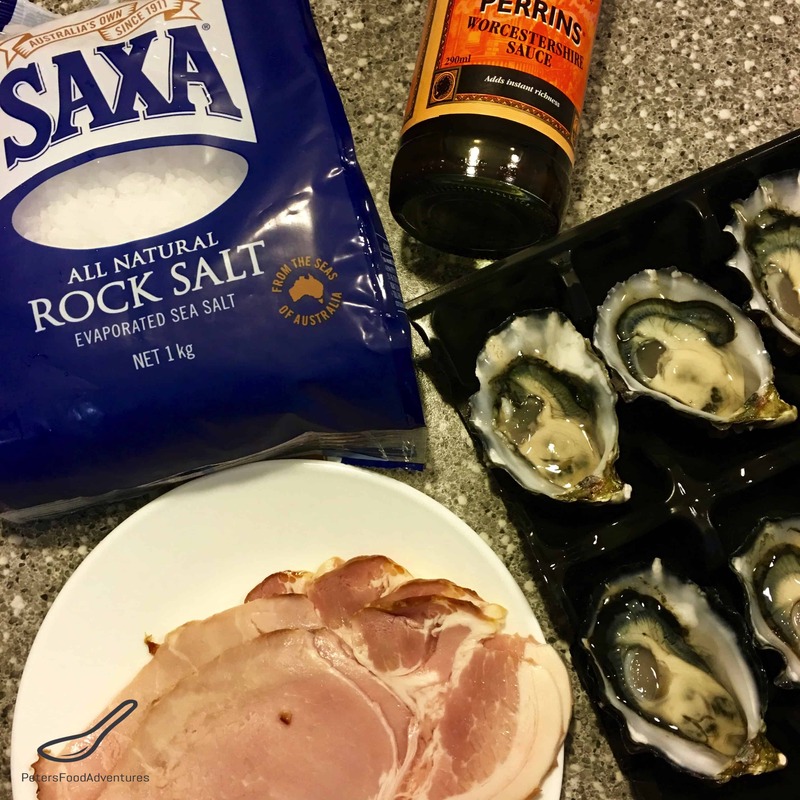 The usual way most Aussie restaurants serve this is with Worcestershire Sauce and bacon, and that’s what initially won me over to eating Oysters Kilpatrick. It’s kind of an older retro appetizer, but still very popular here in Australia. I love this gooey melted cheesy Grilled Oyster Kilpatrick recipe. The Oysters Kilpatrick name is unusual, and the commmon story is that there was an Irish fellow named Patrick who was an oyster fisherman who had a bad heart. One day the oyster haul was so large, that Paddy died whilst trying to haul it into the boat. The local newspaper reported the following day “Oysters Kill Patrick”… Which is kind of a funny story for a recipe, but doesn’t explain how the original recipe started. 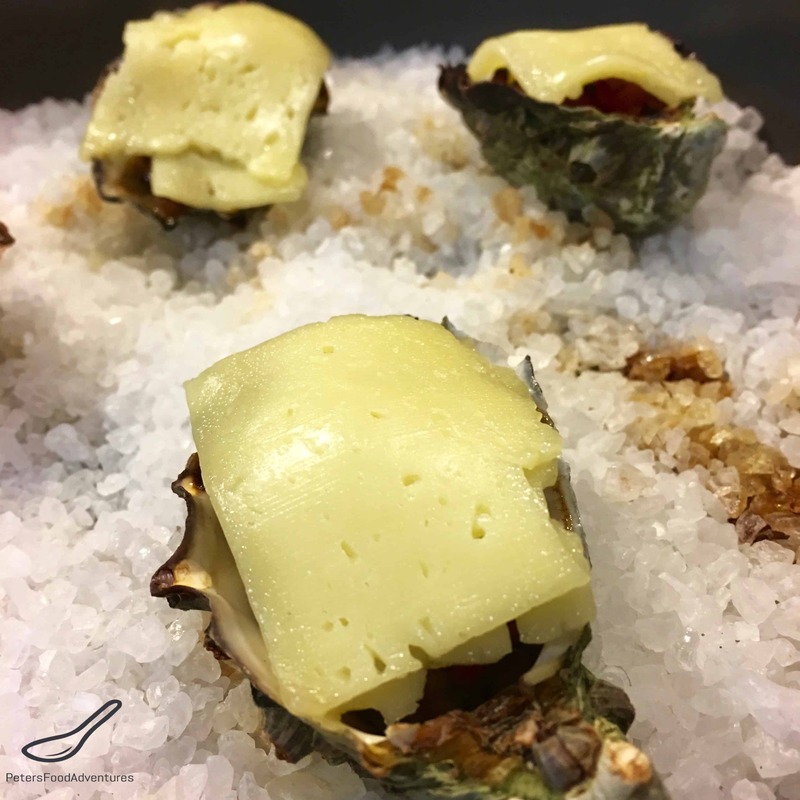 There are many types of baked Oyster recipes besides the Classic Oysters Kilpatrick, like Oysters Mornay, Oysters au Gratin, Oysters Rockefeller, and my Oysters Kilpatrick with Cheese. This recipe is kind of a no brainer, who doesn’t love melted cheese? Sometimes you don’t think of adding something to a recipe, until you read about it! I’ve always used either Havarti or Edam, as they melt beautifully and have a buttery smooth flavour. Of course you can use other cheeses, but avoid sharp cheeses with a low melting point. Use the freshest oysters you can find, and adjust the amount of bacon depending on the size of the oysters. For extra flavour, you add bbq sauce, Tabasco, or Sweet Chili Sauce to the bacon before you bake it. 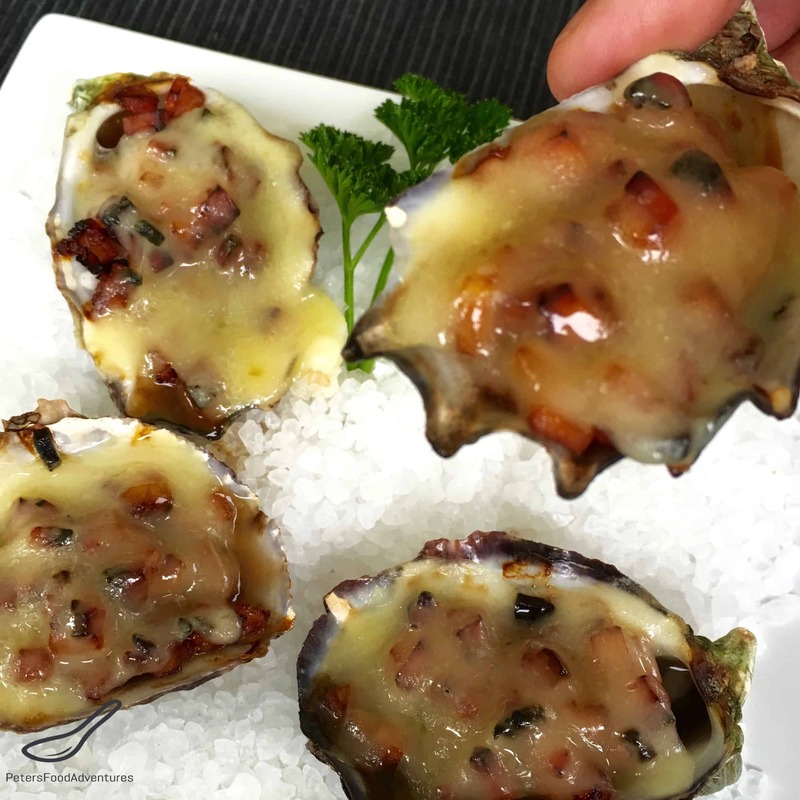 This Grilled Oysters Kilpatrick with Cheese recipe is incredibly easy to make, you’ll actually wonder why you are paying so much for them in a restaurant! Bon Appetit! Приятного аппетита! 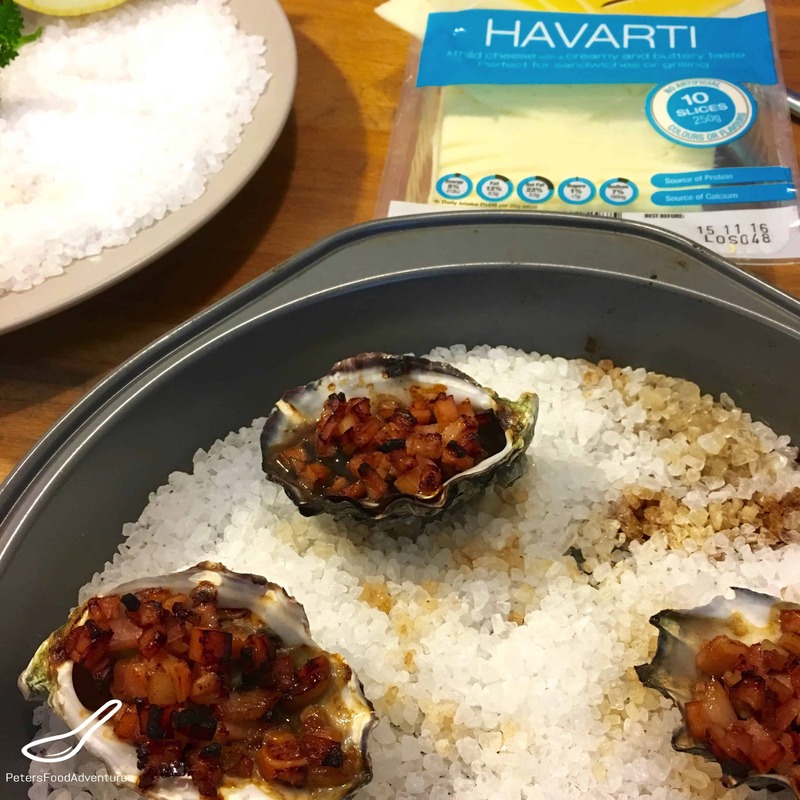 Grill the oysters for 5-10 minutes, or until the bacon is cooked and crispy. Add the cheese and return to the grill until melted. Serve immediately. This recipe idea is quite creative. Maybe I’ll try it soon. Great idea! Thanks so much for checking it out! Love the cheesiness! ??? ?